​The Seattle Seahawks receiving core has been a revolving door this offseason with the departures of Paul Richardson and Tanner McEvoy and additions of Brandon Marshall and Jaron Brown. With the team's No. 1 wide receiver Doug Baldwin ​re-injuring his knee, the team might have running back C.J. Prosise catching some more passes from Russel Wilson. 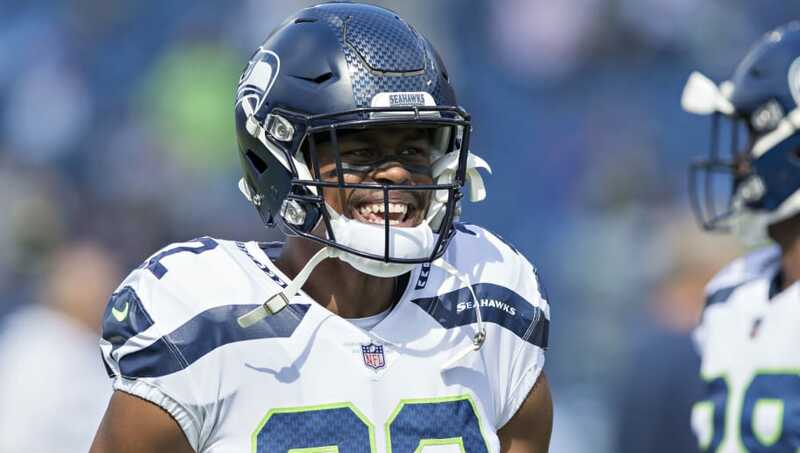 ​​Prosise is currently fourth on Seattle's running back depth chart behind starter Chris Carson, first-round pick Rashaad Penny and veteran Mike Davis. Prosise is primarily a receiving back with elusive speed. He saw some playing time in 2016 and logged in a seven-catch, 87-yard performance against the ​New England Patriots. Baldwin is the team's slot receiver, so he wouldn't be asked to line up outside and run complex routes. Carroll said #Seahawks have "been talking about it" trying C.J. Prosise at receiver. ​​If Prosise isn't going to do much at running back, it wouldn't hurt for Seattle to try him at receiver, as Russell Wilson can use some more weapons in the short passing game.